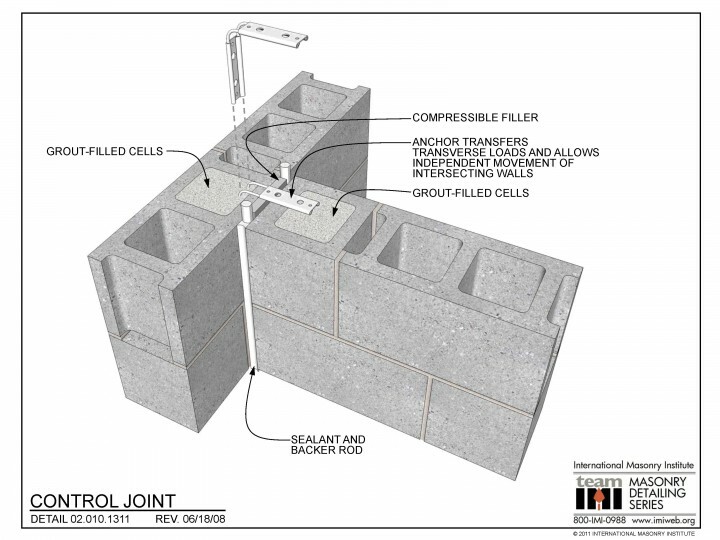 This detail shows a vertical control joint at intersecting CMU walls. 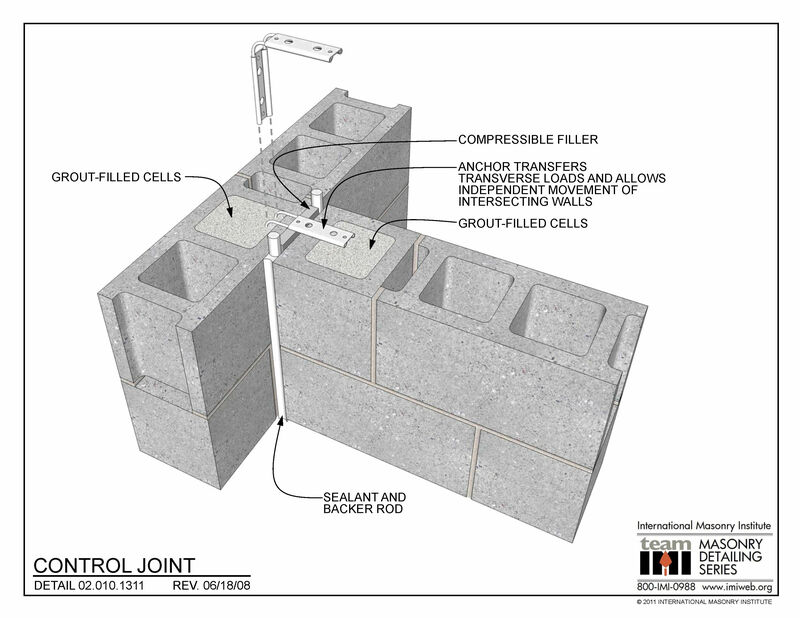 The debonded shear anchor ties the walls together, but also allows the intersecting wall to shrink back from the continuous wall, as the anchor moves along its track. There is horizontal joint reinforcement at 16″ o.c. vertically in the wall (not shown), interrupted at the CJ.